So you're a high school senior given the task of writing a 650-word personal statement for your college application. Do you tell the story of your life, or a story from your life? Do you choose a single moment? If so, which one? The options seem endless. Have you experienced significant challenges in your life? Do you know what you want to be or do in the future? 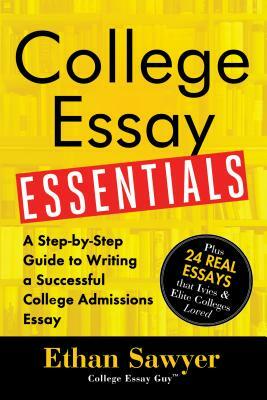 With these questions providing the building blocks for your essay, Sawyer guides you through the rest of the process, from choosing a structure to revising your essay, and answers the big questions that have probably been keeping you up at night: How do I brag in a way that doesn't sound like bragging? and How do I make my essay, like, deep?